Monday, 1300 Hours: Joe Ledger kills terrorist Javad Mustapha, aka Patient Zero, with two point-blank shots from his Glock .45. When you have to kill the same terrorist twice in one week, theres either something wrong with your world or something wrong with your skills... and theres nothing wrong with Joe Ledgers skills. Ledger, a Baltimore detective assigned to a counterterrorism task force, is recruited by the government to lead a new ultrasecret rapid-response group called the Department of Military Sciences (DMS) to help stop a group of terrorists from releasing a dreadful bio-weapon that can turn ordinary people into zombies. 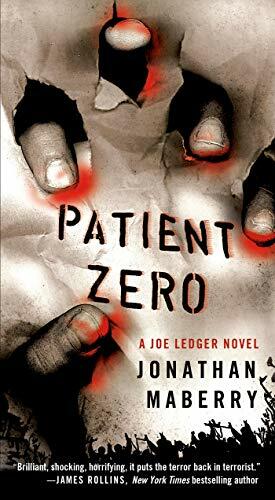 Patient Zero is the first book in the Joe Ledger series by Jonathan Maberry.